The central scar is more clearly seen in this close-up of previous image. 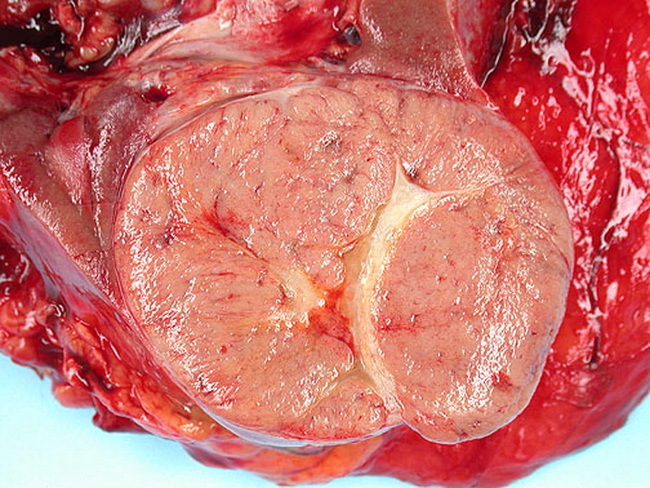 Some tumors may show foci of necrosis, hemorrhage, cyst formation, calcification, or even ossification. Case contributed by: Liang Cheng, MD, Dept. of Pathology, Indiana University School of Medicine, Indianapolis.